Modern birds should be thankful for the food habits of their ancestors. According to a new theory, scientists have suggested that birds survived the mass extinction caused by an asteroid collision 66 million years ago that wiped out a majority of life on earth due to their seed diet. The ecological changes that resulted from the impact, lead author Derek Larson, a paleontologist at the Philip J. Currie Dinosaur Museum in Alberta, and his colleagues explained, appear to have been more detrimental to carnivorous bird-like dinosaurs than plant eaters, and those without any teeth were able to survive on seeds when other sources of food became increasingly scarce. Larson, who is also a Ph. D. candidate at the University of Toronto, and his fellow investigators analyzed more than 3,000 fossilized teeth from a group of small, bird-like dinosaurs that lived in the Cretaceous period and were known as maniraptorans. Maniraptorans were among the closest relatives to modern birds, he explained, but many wound up going extinct. “Modern crown-group birds managed to survive the extinction,” he said Thursday in a statement. “The question is, why did that difference occur when these groups were so similar?” To learn the answer, Larson and his colleagues analyzed the teeth hoping to determine whether the patterns of variation remained consistent over time, or if they became more uniform as time passed. If the variation increased, they explains, it would suggest that changes to the environment were responsible for a long-term species loss. 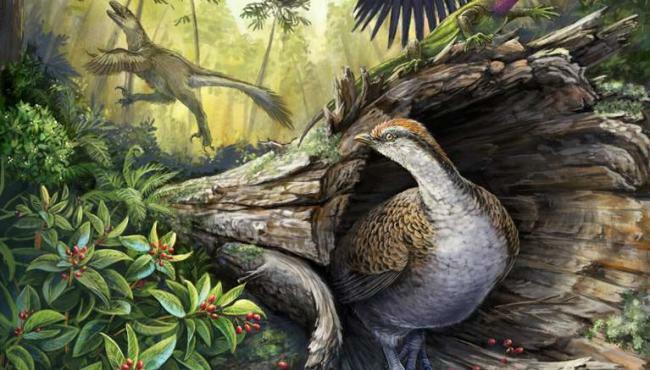 However, if the team maintained their differences over time, it would suggest that the ecosystem remained stable and that these bird-like dinosaurs had been abruptly killed off at the end of the Cretaceous, likely due to the Chicxulub impact. Ultimately, they found that maniraptoran dinosaurs “maintained a very steady level of variation through the last 18 million years of the Cretaceous,” said Larson “There were bird-like dinosaurs with teeth up until the end of the Cretaceous, where they all died off very abruptly. Some groups of beaked birds may have been able to survive the extinction event because they were able to eat seeds,” while those unable to use this alternate food source simply died out completely.